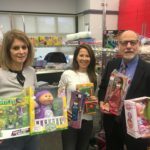 THE SKOKIE CAUCUS PARTY 5TH ANNUAL HOLIDAY TOY DRIVE BENEFITS THE NILES TOWNSHIP FOOD PANTRY AND RUNS FROM NOVEMBER 10 TO DECEMBER 14. In a continuing commitment in our community the Caucus Party has cleaned its adopted street for 5 years. A dedicated team of Skokie residents spent their Sunday morning picking up litter to keep our neighborhood clean. 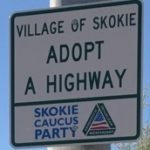 The Skokie Caucus Party is proud to be a supporter of the Village of Skokie “Adopt A Highway” program! Thank you to everyone who came out and helped. The Skokie Caucus Party 4th annual Holiday Toy Drive has begun! 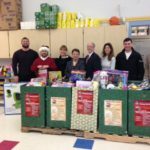 The Toy Drive will benefit the Niles Township Food Pantry and run from November 3 to December 15. 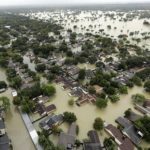 We are asking everyone to help fill a semi truck which leaves for Houston shelters on Tuesday. Join our mailing list and you can get updates on all our upcoming events, dinners, and celebrations! We respect your privacy and your email will remain private. You may unsubscribe at anytime.